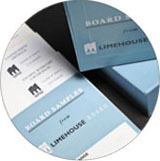 Limehouse Board Mills is a family-owned cardboard manufacturer, convertor, stockist and merchant, based in Witham, Essex. Our site occupies approximately 90,000 square feet and we house a variety of converting machinery along with around 2000 tonnes of stock pallets and reels. We pride ourselves on being able to offer a professional service, together with highly competitive pricing and quality products to each and every one of our customers. 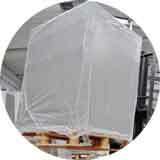 With over 150 years of history behind us, we are able to offer unrivalled knowledge of solid board. We are located close to the A12 and adjacent to a major international haulier meaning that we can deliver quickly and efficiently around the UK and Europe. Including laminated and unlaminated, kraft-lined, foil-lined, white and black lined. 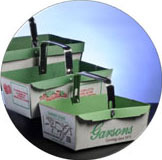 Including: coated white greyboard, folding boxboard, displayboard and stationery boxes. For collecting fruit at pick your own farms. Supplied in plain or in two colours.